scale beer filling equipment. 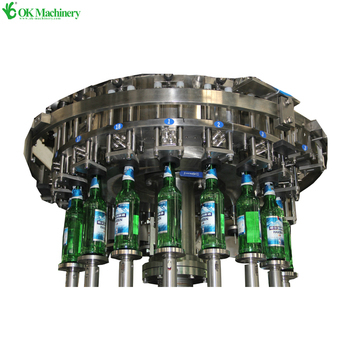 The machine has excellent mechanical operation reliability, improved rinsing, filling, cover screwing, disinfection sterilization and other functions. 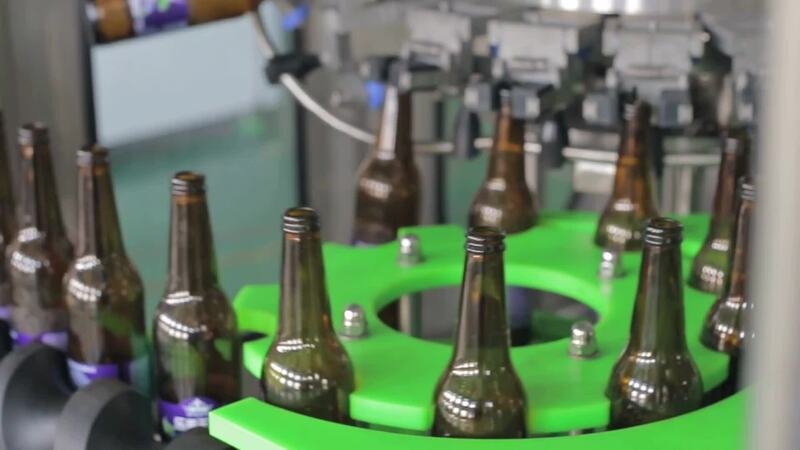 1,The rinsing part using high-strength stainless steel bottles of spring-loaded folders, to ensure a stable reversal of the glass bottles. The nozzle is a plum-like structure can wash every corner of the sidewall and bottom to make the bottle clean. 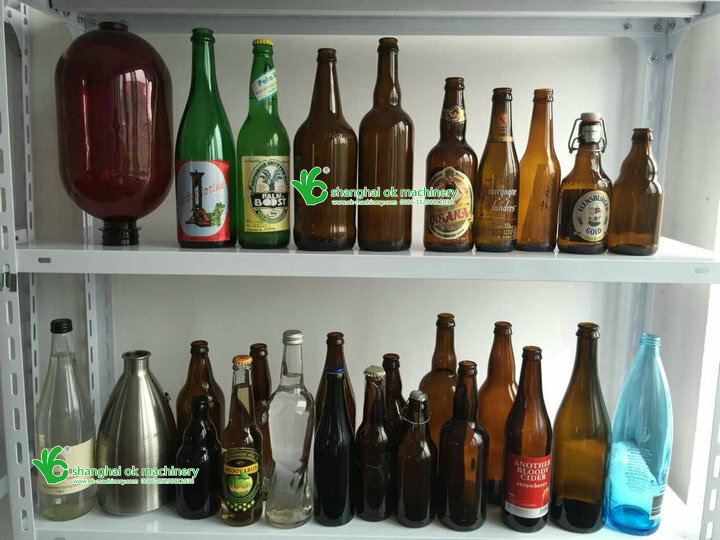 2, The Filling part with spring-type mechanical lifting equipment to upgrade glass bottles, large bearing support floundering in the vat and use of guide-rod in the orientation of the structure, there are pre-cover features. Fill valve before filling have Double vacuum . 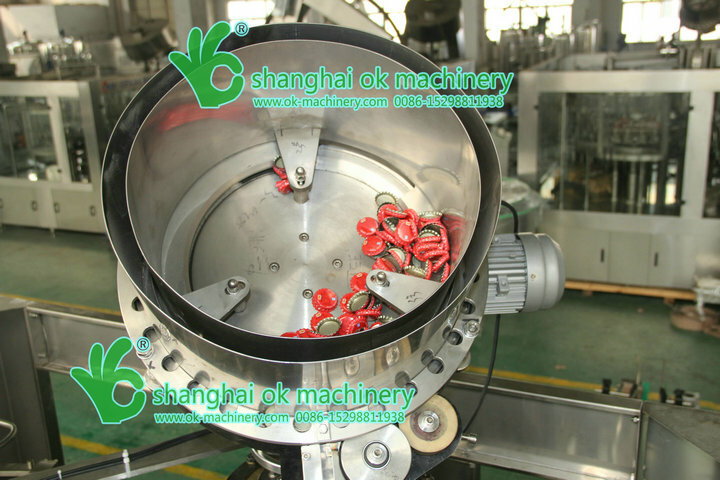 3, Using high-precision mechanical filling valve, with cylinder liquid level and the back pressure controlled by a variable signal proportional. 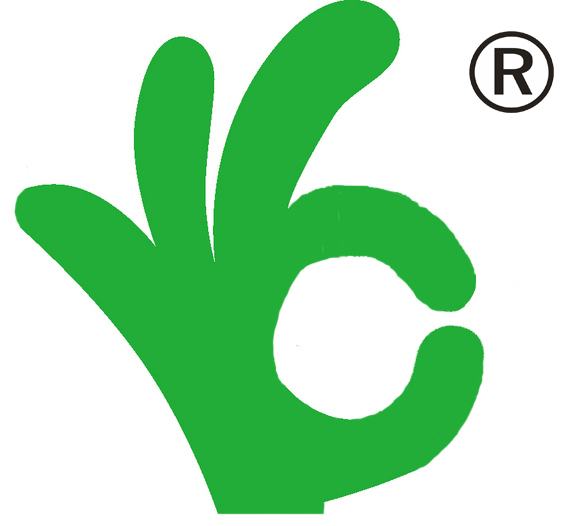 Fast, stable, accurate, to be vacuum one at a time. 4, Stainless steel plunger and mechanical stirring gland-type magnetic reasonable cap to ensure that the gland is healthy and reliable. Hopper and the cap taking- cover, capping transmitted by magnetic. 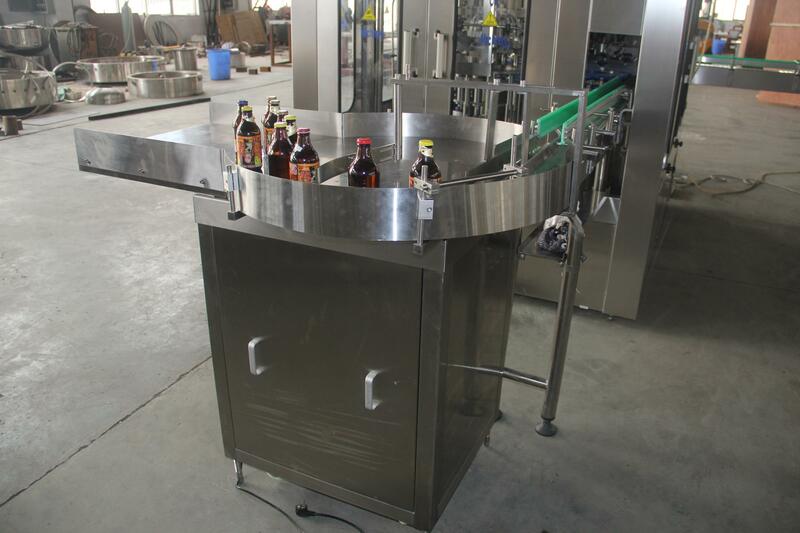 The capping is reliable and automatic unloading, reducing the rate of broken bottles. 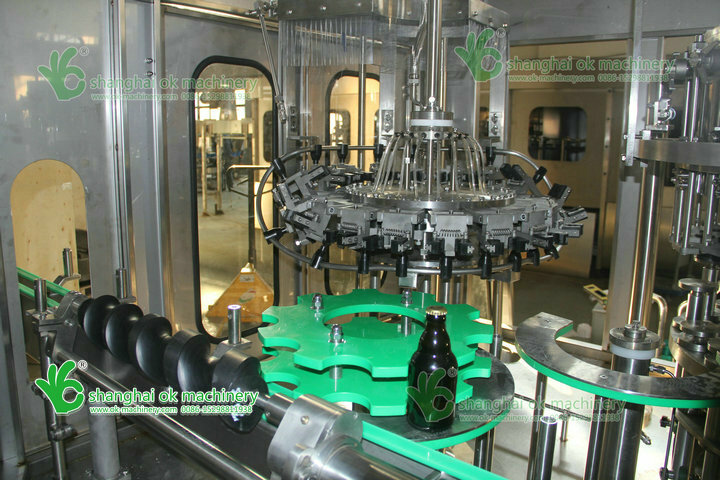 5, the capping, use hot water bubble set to displace bottlenecks air, ensuring the oxygen content of less than 0.15mg / L.The caps are free from deforming,and can flow smoothly in large quantities during transmission.The capper has the function of automatic de loading,which helps lower the bottle breakage. Pls contact us , let's talk more details ! 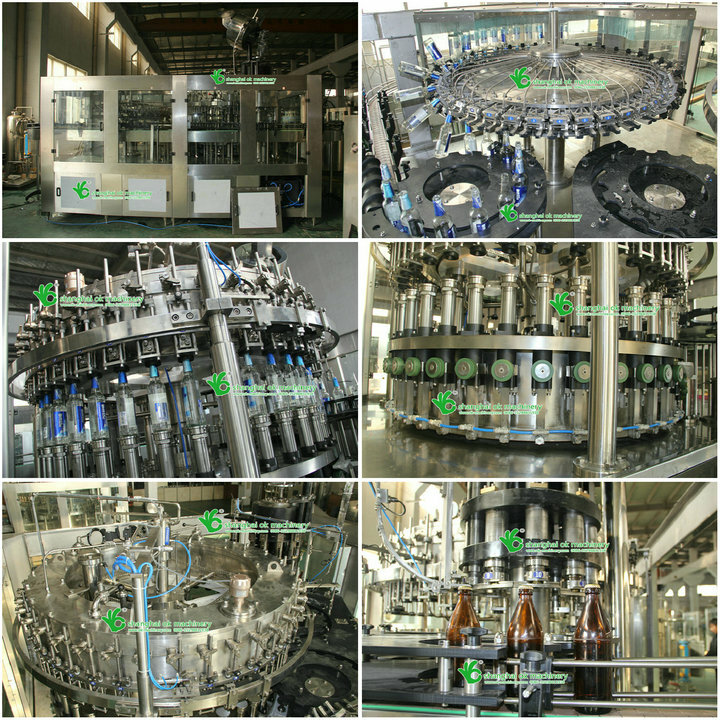 Bottle unscrambler,and some drinks production line auxiliary.